The Nazis presented themselves as warriors against moral degeneracy. 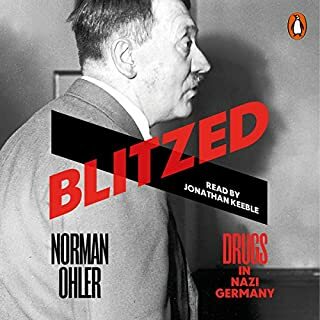 Yet, as Norman Ohler's gripping best seller reveals, the entire Third Reich was permeated with drugs: cocaine, heroin, morphine and, most of all, methamphetamines, or crystal meth, used by everyone from factory workers to housewives, and crucial to troops; resilience - even partly explaining German victory in 1940.
great - very interesting but has slight flaws..
interesting listen for those in active addiction..
as a struggling heroin/speedball addict in and out of recovery I found the book interesting, inspirational and yet also triggering - it reminded me of what I need to do in terms of seeking and asking for help and keeping up with regular attendance and work in NA (narcotics anonymous), and the importance of honesty - both within myself and with the ppl in my life, esp my family and the recovering addicts within NA. 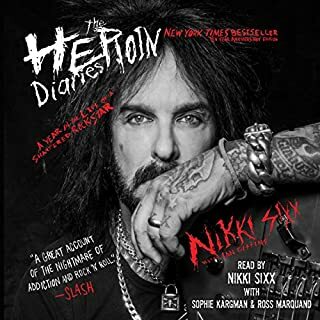 Yet it also made me yearn for the rush of shooting speedballs and the sick fascination and purpose found in all consuming hard drug abuse. And so while having shot up a few big speedballs over the last 2 days I've also reattended NA and plan to throw myself back into step work and speak honestly with my sponsor once I run out of drugs and money tomorrow.